Nobody wants a dead cold email list where nobody's opening up their emails. So how do we create an email list where people are super excited to hear from you? My favorite way to do this without burning yourself out on high-energy marketing strategies is to create an amazing lead magnet. 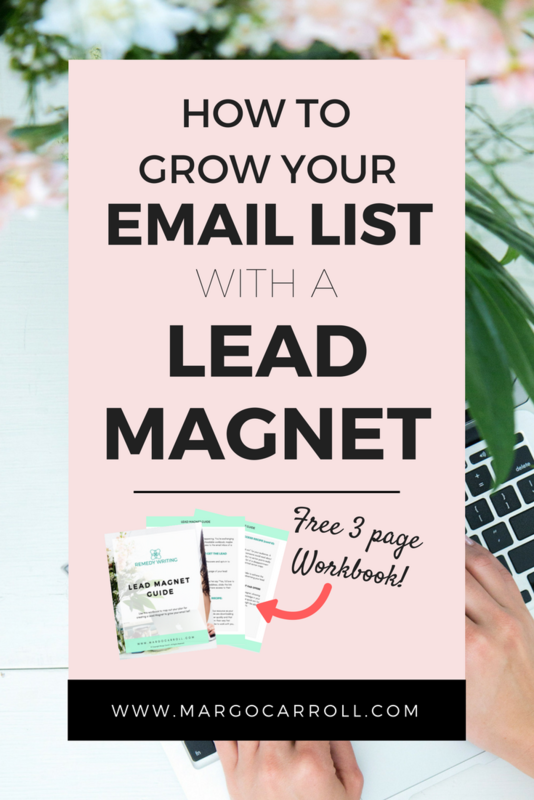 This lead magnet (or opt-in freebie) draws people into your email list and makes them interested, curious, and excited to hear more about your paid offerings. A lot of people are interested in getting their email subscriber list up and running and then to grow it as quickly as possible, but they really have no idea how to do that. 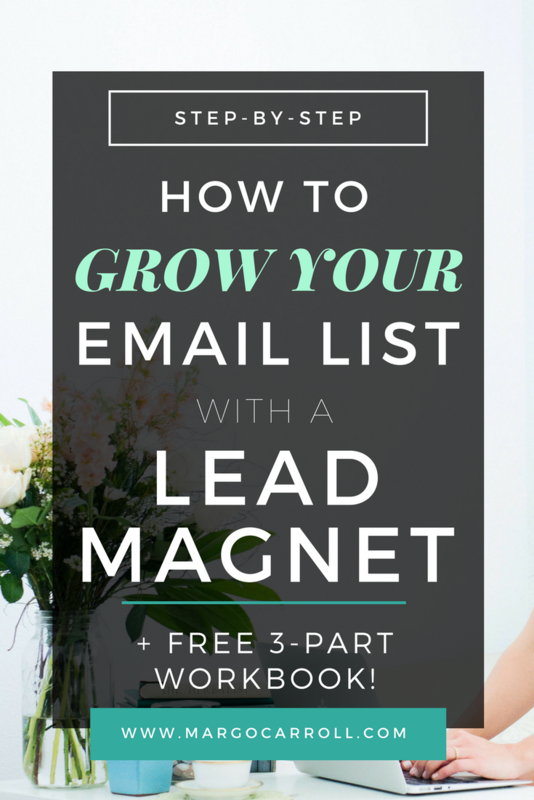 One of my favorite tools for bringing people onto your email list is a lead magnet. You've probably also heard this referred to as an opt-in Freebie or a content upgrade. Wait, Hold On A Minute Margo, What The Heck Is a Lead Magnet? The idea here is that there's an exchange happening. You're exchanging a free valuable tool such as an Ebook, a downloadable workbook, maybe even a short email course in exchange for access to the email inbox of a subscriber. STEP 1: Ideal client Suzie B. arrives at the landing page of your lead magnet. STEP 2: Suzie reads about the offer and if it makes her say “Yes, I'd love to get that download!” then she enters in their email address, clicks the link and boom, you send it straight to her and then you have access to their inbox. Now that's what a lead magnet is, but how do we put together one that gets your audience excited about who you are and then eventually turns them into a paying client? Well, there's a three part recipe that I like to use to make sure that any lead magnet or content upgrade that I create will get my audience revved up to work with me and also provide them a lot of valuable information. Effective Lead Magnet Method Part 1: Make It High Value! So step one of this lead magnet method is that you need to make sure that you're including a high value resource as your lead magnet. Just because this is something that people are downloading for free doesn't mean that it should be slapped together quickly and that you shouldn't put a lot of effort into it. This is giving them their very first taste of the quality of your work and what it might be like to work with you, so make sure that you put together a design that looks visually appealing, that's going to make them want to open up the workbook or ebook and do the exercises that you've created for them. Or if it's a short email course, make sure that you take your time writing the content and that you edit it well for clarity (and that you've tested it to be sure all those emails deliver correctly and in order once they subscribe!). You want to make sure that this is something that shows that you can put together a really quality product or service for your potential new client. The second part of the method for lead magnet success is that you want your lead magnet to achieve a “quick win” for your audience. A lead magnet that just provides information that someone could read about pretty much anywhere and learn for themselves, but no action points really is not highly valuable and it might even be a little bit of a disappointment to the reader once they realize that there's no practical action steps inside. You want to make sure that you have actual steps that they can take to achieve the outcome that you've promised them when you were advertising your lead magnet to them. For example, if you're a health coach who is trying to share about thyroid disorders in women, maybe you offer a checklist of common symptoms for them to read through and then you want them to identify their symptoms than at the end of the checklist. After the checklist, you would definitely want to cover some next steps that they can take. That's just one example. 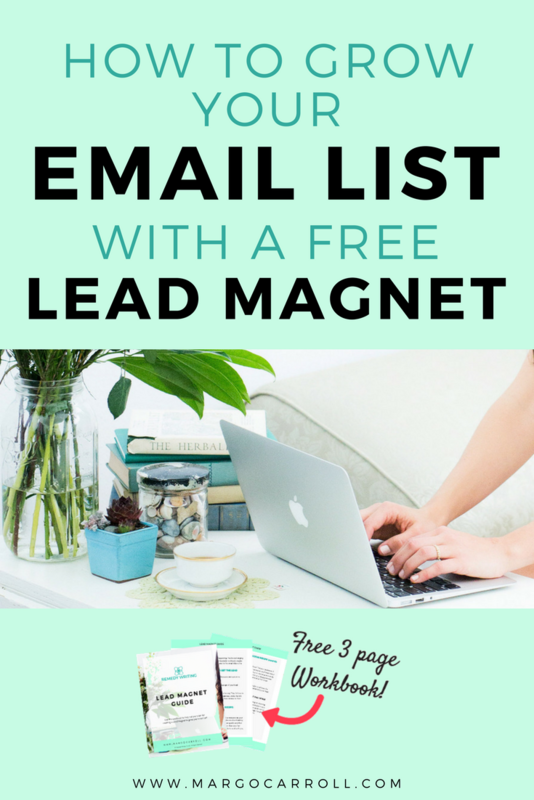 For any kind of lead magnet, you want to make sure that you're achieving a quick win for the reader and that's really going to help establish the value in their mind of why they should give you their email address to download this lead magnet. The third part of the method for an effective lead magnet is that you need to establish your expertise with this lead magnet. By downloading this lead magnet and reading what you have to say (or viewing it, If it is in video format), you're actually showing them that you are an expert in your field. The lead magnet makes it clear that you have high value knowledge that you can share with them if they continue to work with you, and potentially purchase your paid offerings in the future. By establishing your expertise, and achieving the quick win for them, it makes them curious and excited about what they might be able to achieve if they purchase one of your paid services or products. "Oh, this is so much work to put in just for something that's free and I don't actually know for sure what I'm going to achieve on the back end in terms of client bookings! I don't know for sure if they're going to book with me or not after downloading this freebie." Real talk: That's part of taking risks as a business owner, my friend. Just like I'm not guaranteed that any of the leads I generate by paying for a Facebook Ad with end up investing with me, I can't guarantee the ROI on my time spent creating a Lead Magnet. But I CAN tell you that this one tool has helped me tremendously when I first started trying to grow my email list!